Get your teeth white in 15 minutes! Potential teeth whitening customers want to know: What system produces the whitest smile for the money? How much will that great smile cost? How much time will it take? And, how much of a hassle is it? The Food and Drug Administration (FDA) does not regulate teeth whiteners, so, where does this leave the consumer? The consumer is left somewhat puzzled and downright confused. Most people hesitate or hold off on pursuing their beautiful white smile due to the worry of wasting time and money. We use peroxide-based chemistry. Peroxide compounds are able to whiten teeth through a process called oxidation. Peroxide has the ability to penetrate slightly the inner aspect of the enamel within a matter of only a few minutes after application where there are complex organic molecules within the tooth that reflect a specific wavelength of light and are responsible for the color. It has been shown that by releasing free radicals, peroxide has the ability to oxidize the color-producing organic compounds found within the enamel’s organic make-up. When these organic compounds are oxidized, the resulting oxidized molecules reflect a different wavelength of light. They are now a different color, which is perceived as whiter teeth! Chairside whitening is best performed with an accelerator light. Light technology is referred to as photo-polymerization and was first approved by the FDA for teeth whitening in 1996. The optimal color or wavelength of these accelerator lights that are on the market today is in the blue/green region of the visible light spectrum at about 480-520 nanometers. Application of a high concentration of hydrogen peroxide-based gel is applied to the tooth for 15-20 minute intervals. The accelerator light system works by accelerating the hydrogen peroxide-to-free radical chemical reaction. This provides faster, more effective results. There are concerns associated with some accelerator lights, like those used in the Zoom!™ process common at dental offices, generating heat and the possible adverse sensitivity effect it may have on the teeth. That is why we use only cold LED blue light technology. The primary benefit of chairside whitening is that the process takes only one visit, and the results can be dramatic and almost immediate. In the past, a main disadvantage was cost. Dental office chairside whitening usually costs between $400-$1,200. Our chairside treatments cost between $99 and $199, which is a significant savings over having the procedure done by a dentist. Custom-fitted trays are made by first making impressions of both upper and lower teeth by using silicone. A stone model I produced from the impression, and on the stone model, thin plastic custom trays are vacuum-formed, removed, and trimmed before they are given to the customer along with some weak gel to be used at home. Treatment times are usually nightly use overnight while sleeping for a period of 30 days. The cost is usually about $400-$500 for dentist-fabricated custom trays. So, the downsides to this type of treatment are expense and long treatment time. Our chairside treatment is just as or more effective than custom trays, and is much less expensive and is almost instantaneous. Whitening strips are probably the most common in-store systems used. To create a more affordable approach to whitening with a simple delivery system, these strips were first introduced in 2000. Major manufacturers are offering strip systems varying in concentration of carbamide peroxide from 3 to 10 percent. The cost for whitening strip systems range from $25 to $45 and can easily be found in most grocery and drug stores. At one time, Whitening Strips were the only alternative option available to consumers. Disadvantages of the strip system include the fact that the strips slide around easily and can produce uneven whitening or increased gum irritation. Strips can also be messy during application and removal. One of the newest systems has a dissolving effect that can leave a sticky residue and unpleasant taste. Treatments can takes up to a month. Often times they just don’t work. Touch-Up Pens are currently produced in a stylish pen-like product. Their primary benefits are ease and convenience. However, they do not effectively whiten teeth, but they can help maintain teeth at their current level of whiteness; hence the name Touch-Up Pen. The disadvantage of this system is the short period of time the whitening agent is in contact with the tooth. It is also difficult to isolate the teeth from the lips and tissues so they tend to dilute the whitening agent, negating its effectiveness. However, these are for on-the-go and quick use and therefore we feel there is a need for Touch-Up Pens. This should be viewed as a maintenance method and not an alternative to chairside whitening utilizing light technology coupled with high concentration hydrogen peroxide-based gel. There are two types of over-the-counter tray systems. The first of these would be best described as pre-formed strips. These trays have the look and feel like strips that fit over the front of the teeth and wrap around onto the inside surface. These trays are pre-filled with a thin coating of a hydrogen peroxide-based gel. The cost is comparable to whitening strips. These are more secure than whitening strips and provide more control with placement. Our chairside treatment is just as economical and much more effective with the assistance of light technology and hydrogen peroxide, all in a fraction of the time needed to use over-the-counter take home trays. Another over-the-counter tray-type whitening is referred to as a boil and bite system. These trays are softened by warm water and attempt to duplicate the dentist’s custom take home tray system. The main disadvantages are an uneven fit, which can lead to uneven whitening and even gum irritation. Again, our chairside treatment is just as economical and much more effective with the assistance of light technology and hydrogen peroxide. A primary reason results vary significantly is because many factors influence the whitening process. Some can be controlled and some cannot. Plus, people’s genetics, life-styles and even the integrity of the various systems may vary. That being said, there are many factors that contribute to a difference in whitening results. The color of the teeth at the prior to beginning whitening is a big factor in how white they will become after whitening. Teeth that are yellow respond to whitening better than teeth that tend towards gray or brown. Teeth that tend to appear gray may have been affected by exposure to certain antibiotics. The most commonly seen antibiotic staining comes from the use of tetracycline at a very young age. Brown discolorations are often seen that are associated with the excessive intake of fluoride by persons when they were at a very young age. Fluorosis staining may also create an appearance of mottling or a blotchy look to the enamel. 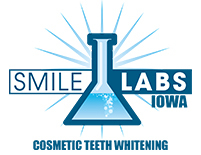 Cosmetic teeth whitening cannot help persons with either tetracycline staining or fluorosis. These people need to see their dentist for treatments to cover up the stained enamel. Due to heredity, there is a whitening potential level each individual has, beyond which, their teeth cannot be whitened further. The best results are achieved if your teeth are thoroughly brushed and clean prior to your whitening experience. Also, to a certain extent, the higher the concentration of the peroxide in the whitening gel, the whiter the teeth will become after treatment is over. However, a higher concentration of the whitening agent in the gel can also lead to greater incidence of post-treatment sensitivity. Over-the-counter systems have a much lower whitening agent concentration, so it takes much longer and may require more frequent touch-up. The amount of time that the whitening agent is in direct contact with the tooth surface also affects the final whiteness. Each system requires a different time line and should be followed accordingly. The key is to maintain direct contact with the tooth to provide even whitening results. Our treatments take just 15-20 minutes, resulting in optimal whiteness with minimal-to-no tooth sensitivity or soft tissue irritation. Oral habits play a major role in the whitening process. Smoking and chewing tobacco adds dark brown stain to enamel very rapidly. Any foods or drinks that are dark in color such as tea, coffee, sodas, wine, grape juice, chocolate, orange juice will cause staining. Beware of oral home care products that contain alcohol and dyes/colors or may be high in abrasion or acidity. Maintaining good oral hygiene will keep your smile looking brighter longer.